If you're looking for greener building materials that have some character and history, consider using reclaimed lumber throughout your home. Reclaimed wood can be refashioned into cabinets, floors, ceiling beams and countertops for any area of your home. Whether you select reclaimed wood that has the original join marks, or you select wood that has been refashioned, reclaimed lumber can be a great material for many spaces. Reclaimed wood may not be as easy to find as traditional lumber. Fewer vendors carry it and selections and quantities can vary greatly over time. Visit one of these retailers to see if they have reclaimed woods that meets your needs. They also carry antique lumber that can be used for any project. Sizes and species of wood varies, but does include both soft and hardwood. Vintage Timberworks supplies antique and reclaimed wood and lumber. They offer products both with the original finish, including join marks, weathering and patina, as well as lumber that has been refinished to a new luster. They grade their wood by character, from low character to high, so customers can select the amount of patina, marks, join holes and history that their wood shows. Reclaimed Lumber and Beams carries both reclaimed wood and lumber products. They welcome small orders and are located in Western North Carolina. Timbers and lumber that are reclaimed can in many cases be indistinguishable from newer products. They may also carry the marks and history of their past use. What is the condition of the wood? Antique, as-is, or re-sawn? How much do they have of a specific wood, finish, or size? Always order more of a product than you need to ensure you don't run short and are unable to get more. Can you see samples of the wood you are considering? Make sure you see samples of the lot, not just generic photographs, as patina and color can vary tremendously from lot to lot. How old is the wood? Where did it come from? Lumber produced up until 1995 may contain chemicals such as arsenic, which can leach into the ground. Like many repurposed products, there are pros and cons to using repurposed wood. 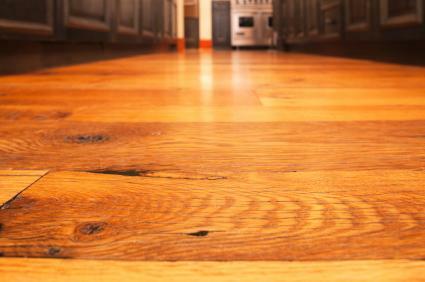 Reclaimed and vintage wood can be considered a green building product, because no new trees were harvested to make it. Some species of wood that are no longer being used as lumber can be found in reclaimed varieties. Antique wood can be used in salvage projects to match original fittings. Aged wood may be stronger and more durable than chemically aged and treated new wood. Reclaimed timbers can be unique, showing their history and patina in every plank. Reclaimed products may cost more than newer materials, due in part to the scarcity of them. You may be unable to find the species, style, or size of lumber you want for a job. There may be limited quantities of products available. 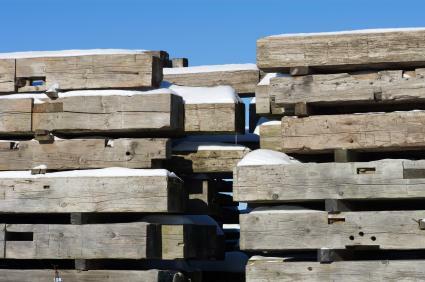 Reclaimed timbers are often not local and may need to be shipped to your location, adding further costs to the project. Reclaimed Lumber Products: They carry doors and furniture made of reclaimed wood. Woodland Creek Furniture: They carry some products made entirely out of repurposed wood. The Old Wood Co.: Locally sourced antique wood furniture and products are available here, and all are handmade. Furniture From the Barn: Furniture is made entirely out of reclaimed barn wood. Old wood brings with it a life and character all its own. Bring some old or reclaimed timber, lumber, or wood products into your home to give them new life.